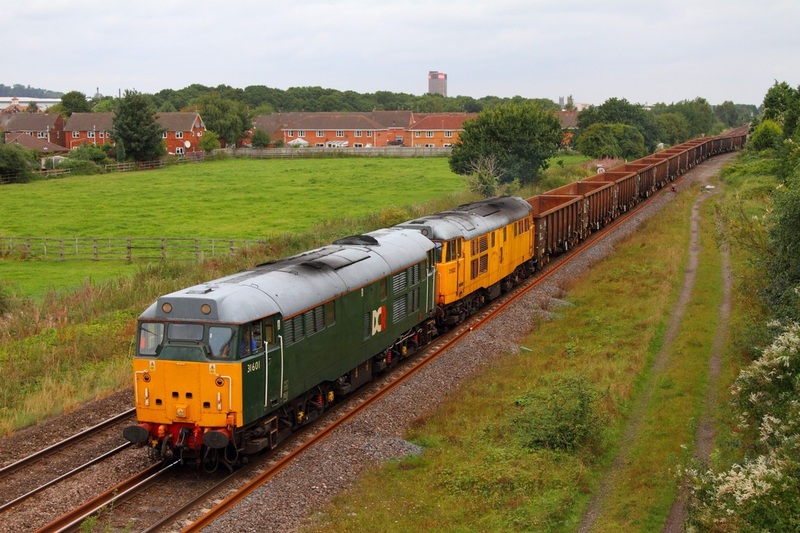 DCR 31602 and 31601 top-and-tail the 6Z30 Washwood Heath to Chaddesden at Lea Marston on the 1st September 2012. DRS 57003 leads 57007 powers the 4Z34 Coatbridge to Daventry at Tamworth on the 1st September 2012. 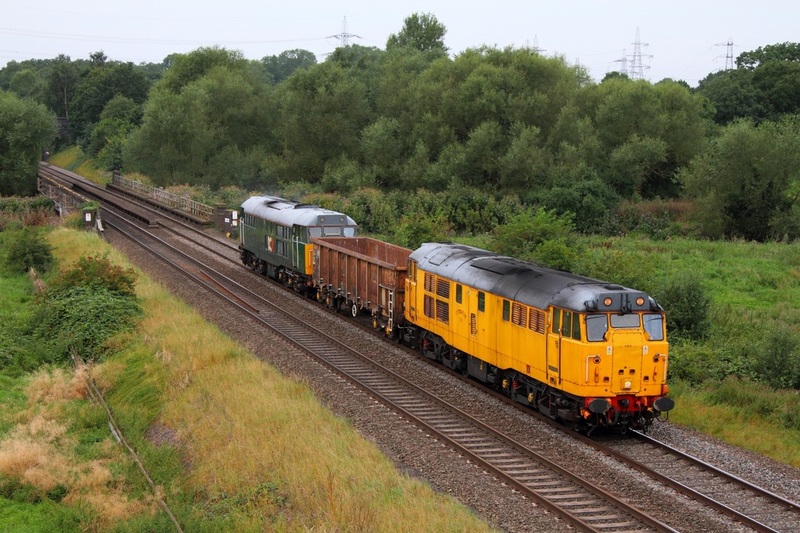 Devon and Cornwall Railway's liveried 31601 leads ex-Network Rail liveried 31602 on the 6Z31 Chaddesden to Cardiff Tidal empty box wagons at Branston on the 1st September 2012. 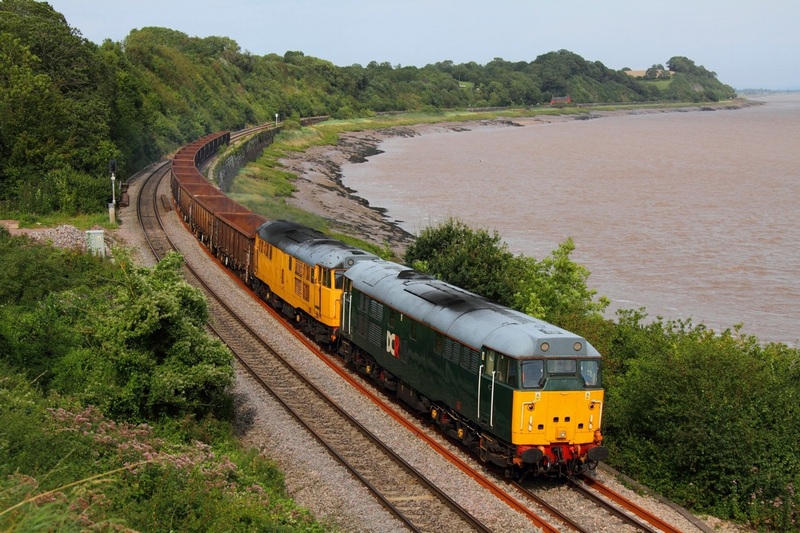 Devon and Cornwall Railway's liveried 31601 leads ex-Network Rail liveried 31602 on the 6Z31 Chaddesden to Cardiff Tidal empty box wagons at Purton skirting the River Severn on the 1st September 2012. Many thanks for visiting. I hope you enjoyed your visit. Kind regards Jamie. Thank you for visiting my website. If you would like to purchase a photograph for personal or commercial use, please contact me here. Note that this website only contains a small portion of my photographs and more are available upon request. If you would like to sign my guestbook to ask any questions or to leave feedback then please click here.